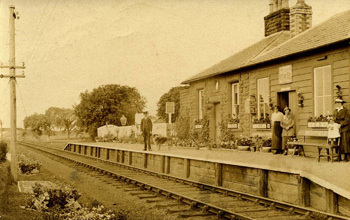 The Cumbria Railways website by Peter Burgess is dedicated to the lost railways of Northern Cumbria which have all closed during the last century. Many of the Cumbria Railways lines closed due to the decline in the industries that they serviced so well during their heyday such as Coal Mining, Iron Ore Mining and Steelmaking along with the closures recommended in the Beeching report in the early 1960s. 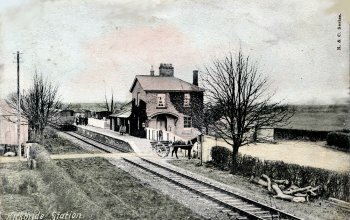 The aim of the Cumbria Railways website is to allow anyone who has Internet access to see the history of these wonderful Cumbrian Railways along with views of the lines today. You will be able to walk the lines today and see the buildings that still remain from the comfort of your own home. Most of the information is being gathered from railway enthusiasts, the local libraries and publications of which some are still available and some out of print and I have made reference to these publications and also the people who have helped in the Bibliography for each individual railway company. I would like to thank all those people who have helped in putting this Cumbria Railways website together.